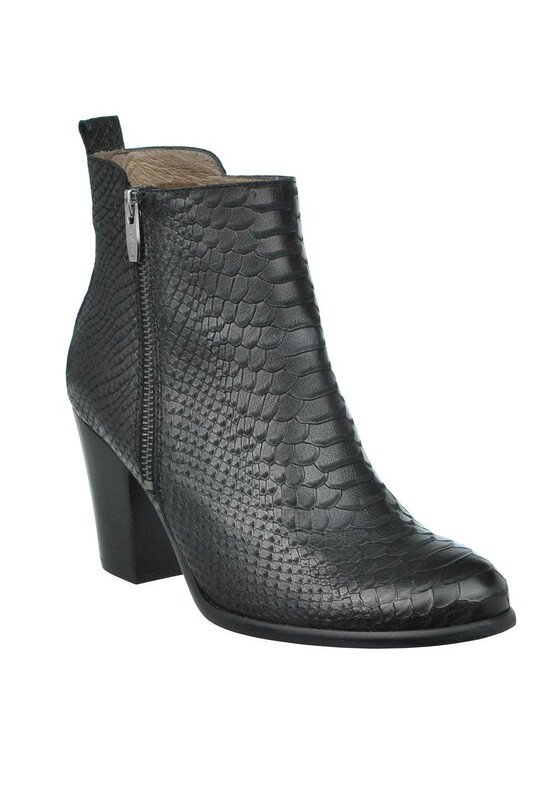 Take a walk on the wild side in these stunning leather reptile print ankle boots from Wonders. 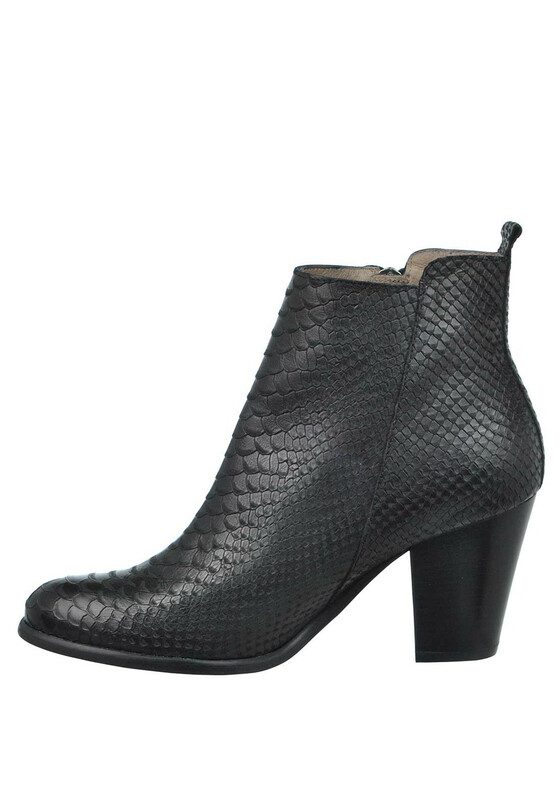 These black beauties have an outer zip fastening with a chunky block heel and will look amazing teamed with ankle grazers and a knitted jumper for a dressy daytime look. Material: Upper-Leather. Lining and Socks-Leather and Textile. Sole- Other Materials.